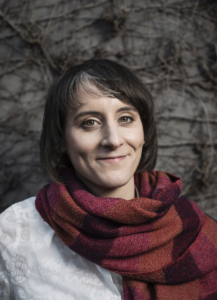 Louise Bagnall is an Irish filmmaker and a creative director at Cartoon Saloon in Kilkenny. Louise has directed several short animated films including Cúl An Tí, Loose Ends and Donkey. She has worked as a character designer on Puffin Rock and The Breadwinner and as a storyboard artist on the upcoming feature film Wolfwalkers. Louise is currently the assistant director on Nora Twomey’s Netflix film My Father’s Dragon. Nuria González Blanco studied Animation at Edinburgh College of Art in Scotland. 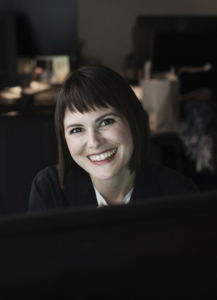 For the last eight years, Nuria has worked across the full spectrum of animation production roles in children’s television, advertising and film. Past projects include the short film Violet, the TV series Puffin Rock and the feature film The Breadwinner. Nuria currently works as a producer in Ireland-based animation studio Cartoon Saloon. Fionnula recently finished filming the BBC’s new television series Redwater. Her most recent film credits include Life’s a Breeze directed by Lance Daly, as Comptessa in Tasting Menu directed by Spanish director Roger Gual, and as Eileen Boyle in The Guard, written and directed by Martin MacDonagh. Other notable screen work includes The Others (Saturn Award for Best Supporting Actress) The Divine Secrets Of The Ya-Ya Sisterhood, Transamerica (Irish Film and Television Award (IFTA) for Best Supporting Actress), Yes Man, The Invention Of Lying, the Academy Award winning In The Region Of Ice, and the critically acclaimed Some Mother’s Son, in which she starred with Helen Mirren. She starred with Ian Bannen and David Kelly in Kirk Jones’ Waking Ned Divine and in Michael Winterbottom’s comedy feature With Or Without You. Fionnula also played a recurring character (Eloise Hawking) in the ABC’s TV phenomenon Lost. 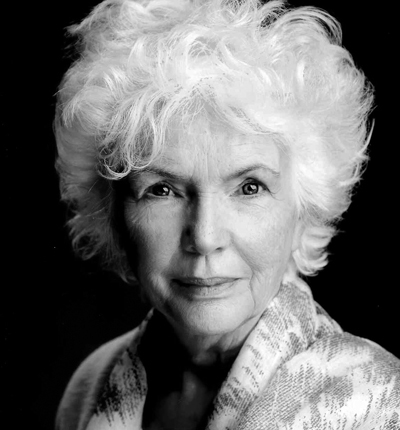 Other US credits include Murder She Wrote, Star Trek: The Next Generation, How The West Was Won (Emmy Nomination Outstanding Lead Actress in a Drama Series), Rich Man, Poor Man (for which she was awarded an Emmy for Outstanding Single Performance by a Supporting Actor in a Comedy or Drama Series). She also starred in the CBS television series To Have And To Hold, and Brotherhood, the hit television series for Showtime. 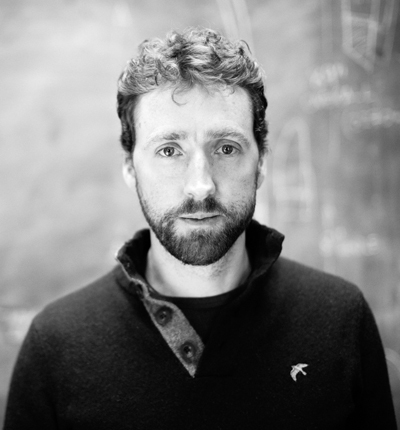 In a crowded field of outstanding Irish fiddle players and interpreters of traditional music Colm Mac Con Iomaire is unique. His voice is unmistakably his own and his music bears distinctive creative hallmarks which have as much to do with his personality and character as with his impressive technical mastery, musical authority and exquisitely expressive playing. Colm recently performed as part of the 2016 Centenary concerts in the National Concert Hall. He performed with Paul Muldoon as part of the literary celebration and with Glen Hansard, as part of Imagining Home. He was commissioned to write a piece of music Solasta (meaning Shining) which he performed for the President of Ireland in The Irish Writers Centre. This piece was written to accompany specially written poems from six of Ireland’s leading Poets. His second album And Now The Weather has been critically acclaimed (album of the week in The Irish Times) and was recently shortlisted for the Choice Music Prize ‘album of the year’. His work in TV, Film and Theatre has allowed him to progress and mature as an orchestrator of his own compositions. Colm is currently working on his second Movie feature soundtrack, which is due for release later this year. Against a backdrop of global war and destruction of the natural environment And Now The Weather reprises the plea of the hare for creativity and space. Somewhere in the middle of all this madness there is music and Colm Mac Con Iomaire.